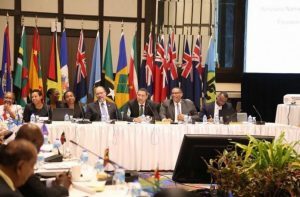 Caribbean Community (CARICOM) leaders began a two-day special summit in Trinidad and Tobago on Monday discussing ways of improving the CARICOM Single Market and Economy (CSME) that was intended to deepen the regional integration movement. The architects of the initiative were of the view that while a primary focus of the common market was on liberalising trade in goods among the member countries, the single market and economy (SME) was intended to expand the process to includes services, free movement of capital, skilled labour and the freedom to establish business enterprises anywhere within the 15-member grouping. The CSME, conceptualised in 1989, and while it has recorded progress, there are general concerns about the rate of implementation of some of the decisions taken to push the initiative forward. 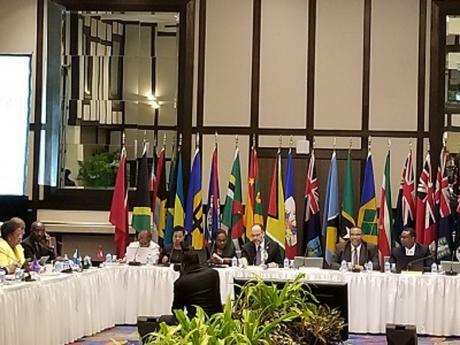 Barbados Prime Minister Mia Mottley, who has lead responsibility for the CSME within the quasi-CARICOM Cabinet, said priority to the start of the meeting, she is hoping that the outcome would prove beneficial to the region. “To make the Caribbean a more better, a more effective place for our people,” she said.